ChiZhou 16" x 20" Combo Metal Lathe Milling & Drilling Machine..
ChiZhou 16" x 20" benchtop metal lathe mill drill combo is 3 machines in 1! 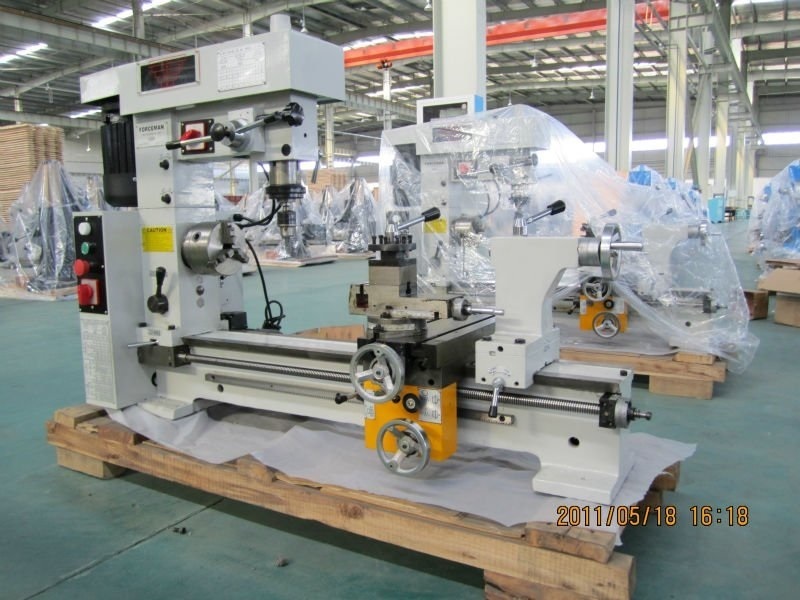 The lathe is very spacious, with large travels. 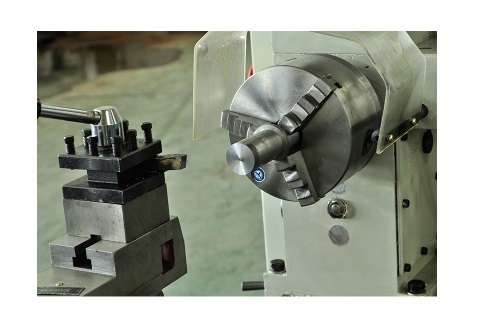 The milling drilling head has a heavy duty MT3 spindle taper with 110mm of travel. The tool post doubles as a work holding vise for your mill! The HQ-500 also comes with a drill chuck that can be used both in the tail stock and the drilling head spindle. 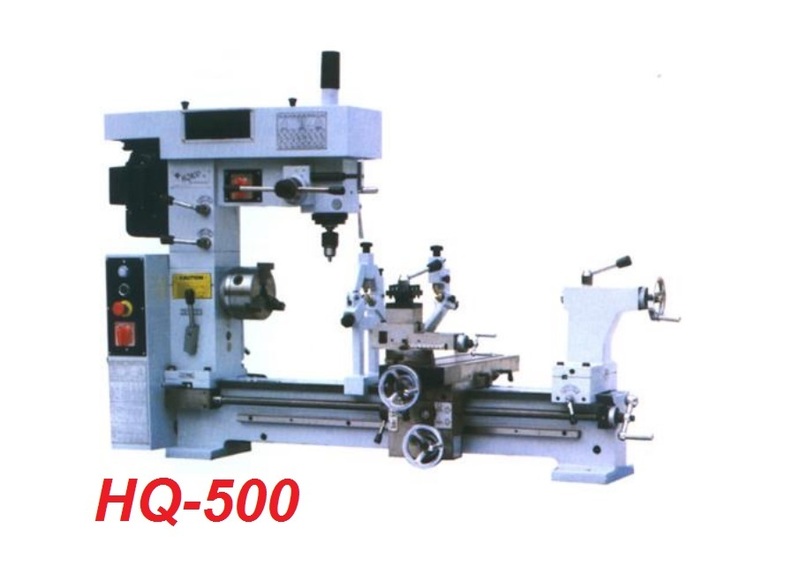 Included with your new HQ-500 are change gears, dead centers, and reversible jaws for the 3 jaw chuck. 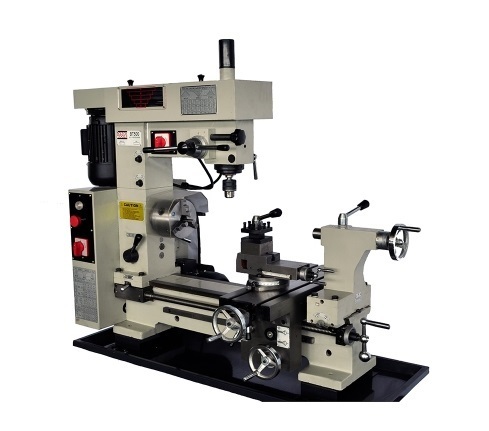 You will not be disappointed with the versatility of the HQ-500 metal lathe mill drill combo unit! .A kind of combination machines with turning, milling, drilling and threading. 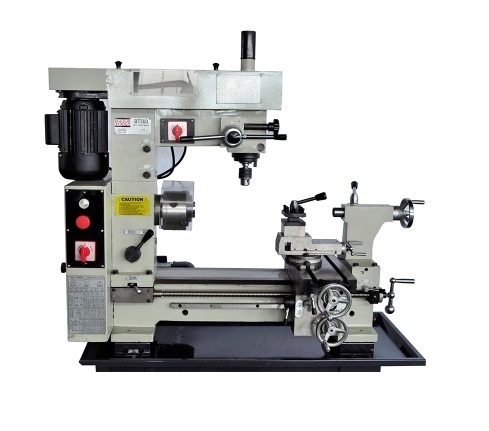 .Widely used in job-shops, car shops technical school, factories and family for machine parts repairing and making, education training, household utensils' making, etc.